Creativity can’t match response-based activity in delivering quick results, but it is vital in long-term brand success, according to new research which challenges today’s obsession with data-based marketing. Peter Field, a marketing and advertising consultant and author of a similar UK research project The Link Between Creativity and Effectiveness, put the case forward for creativity during a webinar hosted by the Association for Data-driven Marketing and Advertising (ADMA) . His comments were in turn based on the findings of ADMA’s first annual <i>The Link Between Creativity and Effectiveness</i> research, which analysed 234 campaign submissions to the 2012 ADMA Awards to understand the complex relationship between creativity and effectiveness. Field challenged the focus on data and short-term metrics for campaign effectiveness, claiming those that only focus on quick response-based activity and big data will sacrifice long-term, generators of growth for their businesses. “It’s not just a question of surrendering creativity to data, it’s the danger that if you just measure in the short term, which is what big data makes you do, it turns you off all the things driving success in the long term,” Field claimed. “There is a real tension emerging in marketing around the desire to have short-term results that you can see, measure and show to management. This is being driven by the data revolution – big data keeps telling us we can create astonishing results right now. But instinctively we know great brands don’t happen overnight, they take time. One of the metrics used to gauge effectiveness in the new ADMA research is the campaign evaluation period. Nearly three-quarters of submissions were based on a timeframe of less than six months, representing a very different picture to those with a longer lifespan, Field said. He also claimed short-term response and Web/social media success do not reliably indicate longer-term business success. Effectiveness is based on value, volume, share and profit growth, price sensitivity reduction, new customer acquisition and customer retention. 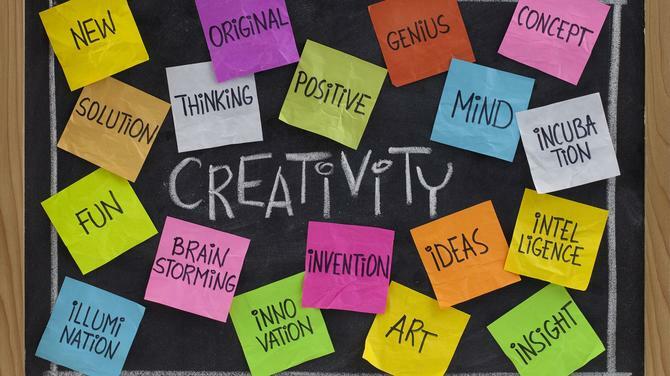 While there was no distinguishable business or behavioural effect from creativity-awarded campaigns in the short-term, the research found creativity outperformed non-creatively awarded campaigns for intermediate effect, and was fundamental for driving long-term results. Field said creativity needed more time to mature and prove its effectiveness, regardless of industry sector. “Typically, it takes one to two years to get the benefit of creativity,” he said. As a way of balancing the need for better metrics with creativity, Field advised marketers to implement “solid long-term metrics” that could be shared and understood by the rest of the executive suite. One such powerful metric is price sensitivity. “It’s very hard to measure, but creativity link has powerful link to price sensitivity,” he claimed. “If people can pay a little more for your brand, it’s massively profitable and that’s a great long-term metric. Field also admitted price sensitivity has been a defensive play for CMOs of late, particularly in this economic climate, but said it is the brands focused on adding value that are now winning the hearts and minds of consumers. “Many of the great brands during the 1990s, such as Dell and Walmark, are no longer the brands people talk about. They characterise taking cost out and making things cheaper,” he commented. “Attention is increasingly focusing on brands that can add value. Short-term response and Web/social media traffic do not reliably indicate longer-term business success. Customer acquisition campaigns are much more effective at driving growth than loyalty campaigns. This is especially try of financial services and packaged goods, but applies universally. The optimum strategy over all timescales but the very short, is to develop integrated brand-response campaigns. These combine a powerful brand-building core to drive year-on-year growth and efficiency improvement, with an integrated suite of response-driving strands to convert growing brand equity into short-term sales. Because building new customer relationships is better than trying to deepen existing ones, objectives and metrics for growth should focus on non-customers rather than on customer commitment. Traditional direct mail strongly outperforms email marketing: The latter may be cheaper but it is associated with reduced campaign effectiveness.